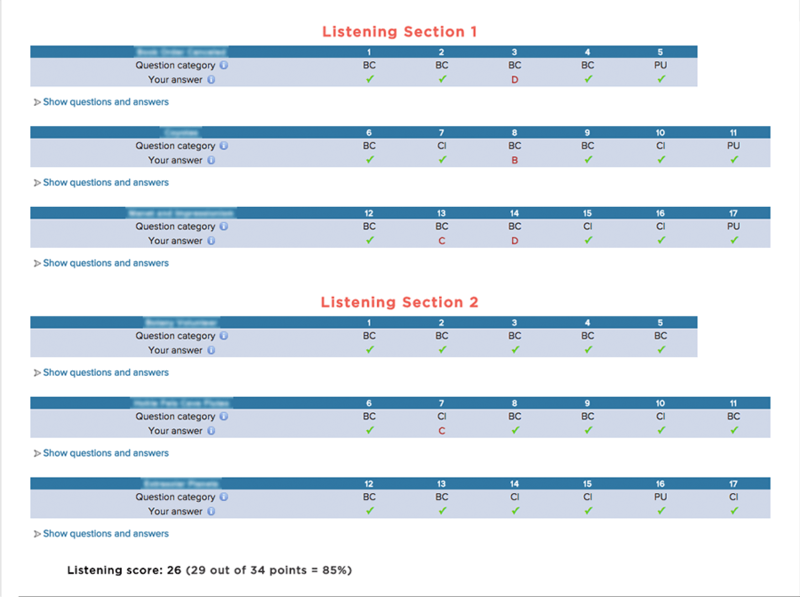 Here are more details about the Listening section of a ScoreNexus TOEFL Score Report. If you want to know about a Score Report in general, please click here. The number of correct answers will determine your Listening score. In the example above, the student received a score of 26 (out of a maximum of 30). All of this information will help you quickly improve your Listening score!